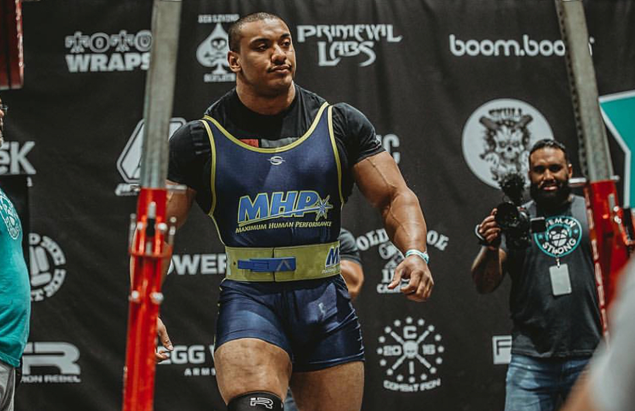 Larry Wheels went from living in an extreme poverty as a child to becoming one of the strongest power lifters in the world. Growing up in poor neighborhoods of Bronx, New York, Larry’s childhood goal was to become stronger and bigger so nobody would bully him. In order to achieve his goal, Larry began doing push-ups, pull-ups, and sit-ups every single day. With the help of his mother, he later built himself a basic weight set consisting of two 40-lbs concrete blocks and a broomstick. Hey man gained a ton on the bench. I went from 200 to 245 pretty quick, and I'm really happy about that due to the fact that I'm 16 and weight 140. Hey Larry i bought your peaking program and in 2 months my deadlift went from 190 to 220 kg. Thanks man! Hey Larry, My partner brought me your DL plan and my DL went from 290 to 312 kg in 8 weeks. Thank you for all help and motivation!! !